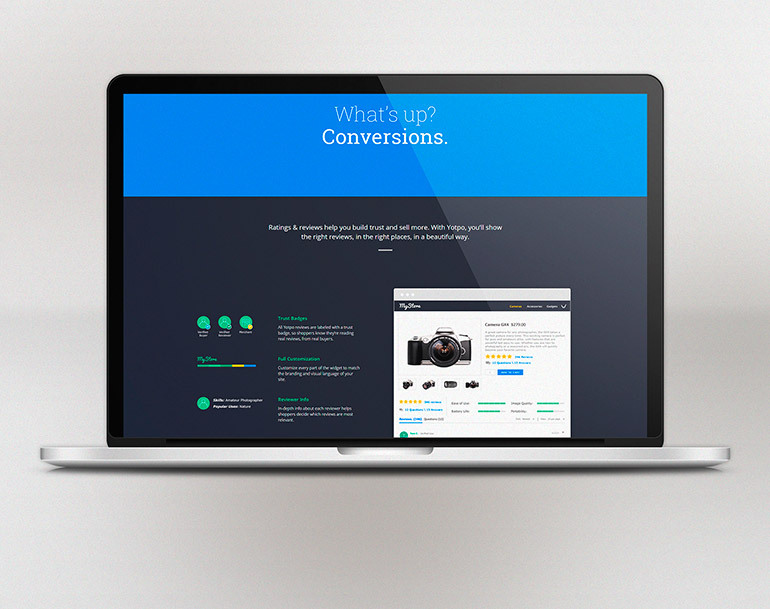 For conquering website traffic and conversions, Yotpo.com does it all. 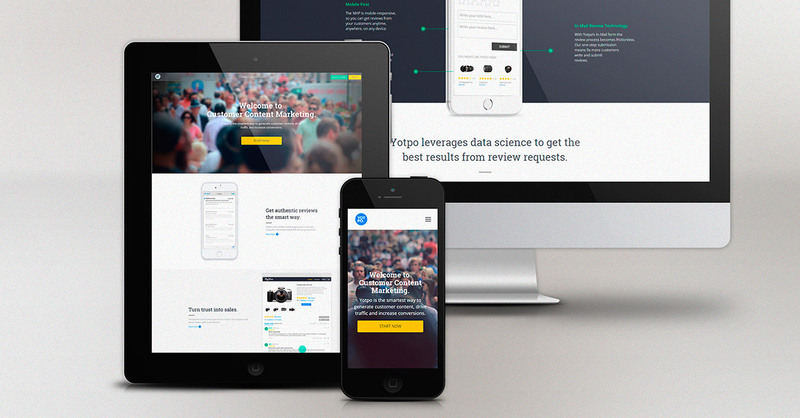 Yotpo is revolutionizing the world of custom content marketing. Their goal is to help their clients raise the profiles of their websites, through content of all kinds. With so many competing websites on the internet, they know that they have to find unique ways to drive traffic to a website. They use a number of different techniques to draw more traffic to a website and convert those visitors into readers, customers, or clients. Yotpo was a fresh start-up, based in both Tel Aviv and New York, when they contacted us. The design itself was made by the Hamutzim studio in Tel Aviv, but was extremely complex. We knew its result would be beautiful, but we also knew it would be a challenge. Luckily, we love a challenge. Yotpo’s website required many intricate CSS animations and extremely clean code. Their website see massive amounts of traffic ever month and required an efficient, quick-loading build. With a tight schedule and a design that required extremely high-level finishing, we relished the challenge and delivered a fully responsive website with s comprehensive backside content management system, within their time frame. This was a great opportunity to bring a complex design to life!